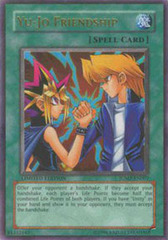 Card Rules: Rulings powered by The Netrep API. 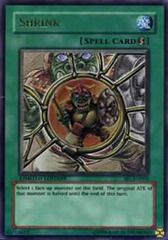 [Re: Barrier Statue of the Abyss] You cannot activate 'Future Fusion' or the effect of 'Cyber-Stein' while a Barrier Statue is in play if the only Fusion Monsters in your Extra Deck have barred Attributes. 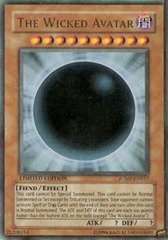 [Re: Chthonian Polymer] You can only activate this card when the opponent Fusion Summons a monster, including with a Special Summon that is treated as a Fusion Summon, like 'Miracle Fusion' or 'Power Bond'. 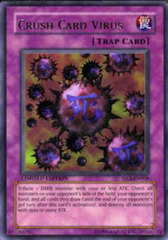 You cannot activate it when they Special Summon a Fusion Monster with a card effect, like 'Metamorphosis' or 'Cyber-Stein'. 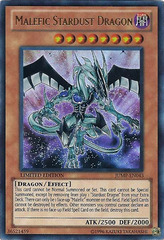 [Re: Cyber End Dragon] You can Special Summon 'Cyber End Dragon' with 'Cyber-Stein' or 'Metamorphosis'. 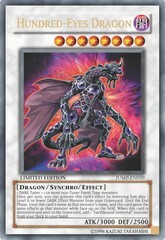 [Re: Cyber Twin Dragon] You can Special Summon 'Cyber Twin Dragon' with 'Cyber-Stein' or 'Metamorphosis'. 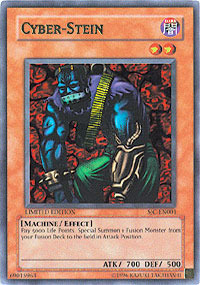 [Re: Non-Fusion Area] You can still Special Summon a Fusion Monster with a card effect like 'Metamorphosis' or 'Cyber-Stein'. 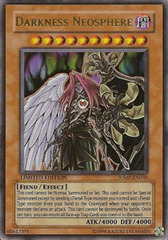 [Re: UFOroid Fighter] If 'UFOroid Fighter' is Special Summoned with 'Cyber-Stein' or 'Metamorphosis', its original ATK & DEF will be zero.